A typey, sound, exuberant dog who gave his all each time he stepped into the ring. A Royal Best of Breed winner and All Breeds Best in Show winner. 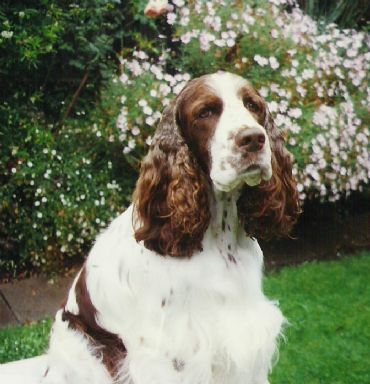 Dom was only exhibited a few times a year due to being campaigned in the same era as his famous kennel mate Gr. Ch. Kinsheran Rich Pickings. His positive influence can still be seen in the stock that has come down from him.